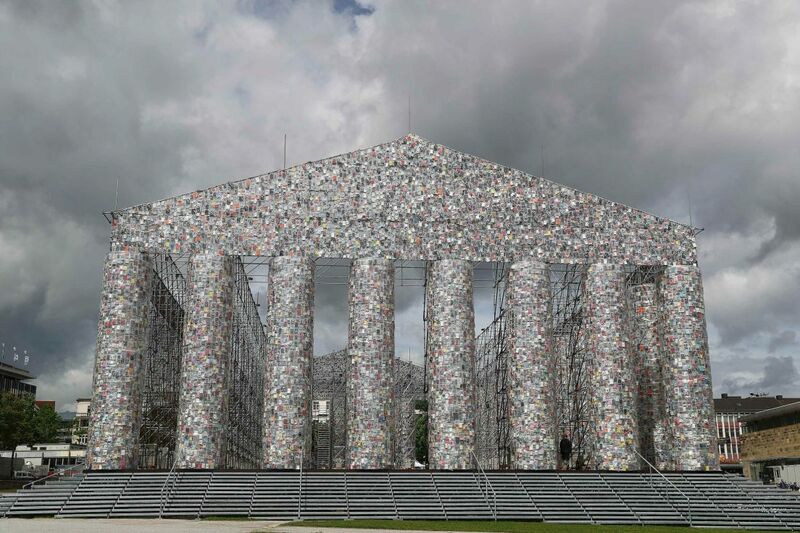 A life-sized model of the Greek Parthenon, covered in forbidden books donated from around the world, stands in central Kassel right where Nazis once burned banned books. 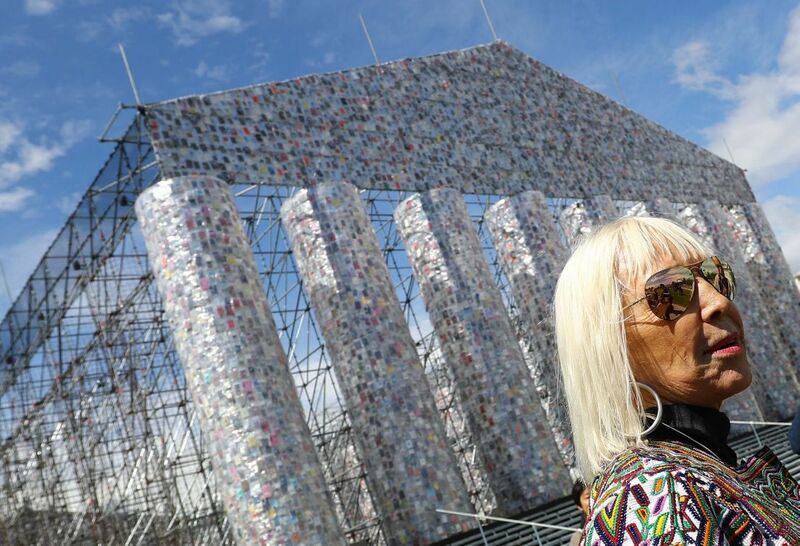 It is a centerpiece of Germany's biggest contemporary art exhibit, documenta 14. 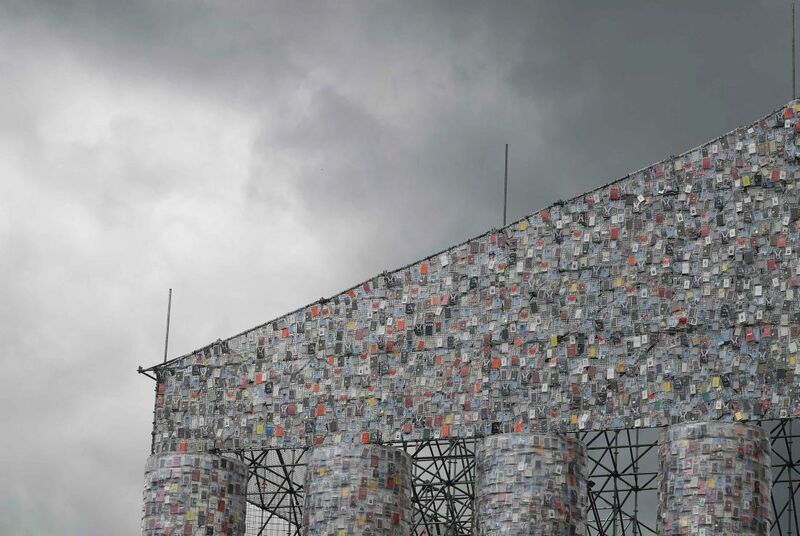 The exhibit, created by Argentine artist Marta Minujin, is also a poignant visual bridge to Athens, where a sister documenta 14 show is being held for the first time since the prestigious exhibit began in 1955. This year's dual exhibits include work by 160 artists from more than 50 countries, including some rare Communist Albanian paintings in Athens. Both the Athens and Kassel shows will continue for 100 days. Organizers expect close to a million visitors in Kassel, where the exhibit will continue until Sept. 17. "It's an exhibition including many artists who went through rather concrete experiences of displacement," Polish curator Adam Szymczyk told Reuters TV. "These artists and their bodies, their histories, kind of testify in many ways to this permanent state of displacement that is affecting many people around the globe." In Kassel, Kurdish-Iraqi artist Hiwa K. has created an exhibit with a series of ceramic pipes entitled "when we were exhaling" that centers on his experience after fleeing northern Iraq on foot in the 1990s, too poor to afford a hotel room, Szymczyk said. "He walked on foot across Turkey and then ended up for a time being in the town of Patras (Greece) where he lived in these ceramic pipes that are used for canalization," he said. Hiwa K. sees the exhibit as a broader reflection on poverty, capitalism and what happens when a person no longer has room for their belongings. "The refugee crisis is... the outcome of what late capitalism is producing and what it is bringing to us," Hiwa K. told Reuters TV. "It is interesting to show it in Kassel because you have a big industry for weapons here which are producing weapons for other countries." He had hoped to turn the exhibit into an Airbnb space for documenta 14 visitors, but the city refused, citing health and safety reasons. Instead only the 13 students who helped decorate the cylinders will spend a night there during the art fair. Across town, an installation by Mexican artist Antonio Vega Macotela, looks at the global economy and humanity, allowing visitors to push a wheel on the "Mill of Blood" that produces a both a metallic coin and a digital "bitcoin." Macotela says the mill is reminiscent of mills used in Mexico and Bolivia to mint coins, using the labor of animals and slaves. "This machine is different of course because the energy is not going to be given by animals or by slaves. 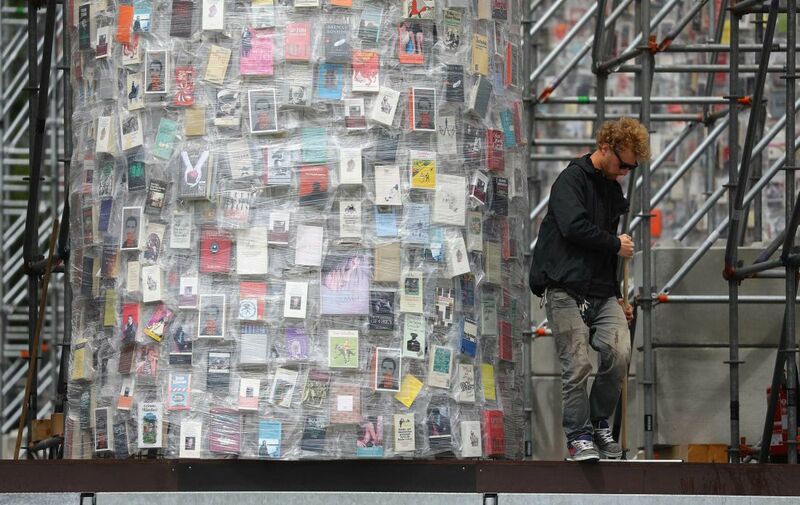 It is going to be given by the people coming to the documenta," Macotela said.